The assessment type that EFL teachers in Bangladesh often make use of to test students’ writing skill is essay tests, which, according to White, cannot test all aspects of the learning process, let alone its hindering students from writing effectively under test conditions. To solve this problem, this article will conduct a discussion on portfolio assessment, which meets the two most important characteristics of a test, that is, validity and reliability (Bachman), as well as reduces the pressure of testing that students are likely to suffer. Portfolio assessment is valid because it can measure all attributes of writing that have been taught. Indeed, the portfolio allows a collection of many different kinds of writing that students learn during the whole writing course (White). 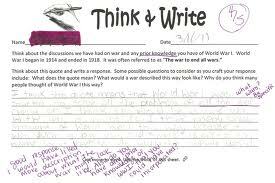 This comprehensive record gives the teacher a thorough idea of how students can make progress in the writing process, what they can achieve at each stage and how they evaluate their own and their peer’s work. Portfolio assessment is also reliable because it has specific and clear criteria as well as assessment guidelines. Specifically, there should be checklists for students to do the peer review, self-edition, self-evaluation, and there should be a grading schema for the teacher to do the final evaluation. The teacher will make the checklists understandable to students by training students to use them. All of these can facilitate teachers and students to work in a collaborative effort (Fearn & Farnan, ). The above-discussed solutions reveal that the problems in teaching and learning EFL writing can be addressed by a variety of methods such as psycholinguistics, SLA, syntax, sociolinguistics, and pragmatics. Language is viewed as being embedded in social contexts when the problems are defined and tackled. The aim of such solutions is to better the teaching and learning of EFL writing in Bangladesh Additionally, the ultimate goal is to develop EFL learners’ communicative competence, which includes grammatical competence, sociolinguistics competence, strategic competence, and discourse competence (Savignon, ). In accordance with Davies’ contention , it is hoped that EFL learners in Bangladesh have the same degree of language proficiency as native speakers’, but the competence is not necessarily native-like. The suggested solutions are not static, however. They are open to be questioned since there are still other issues that have not been addressed, one of which is the problem of curriculum design. What are the Types of Leases and How Do They Work?